The field studies below have been developed to support the Edexcel GCE 'Crowded Coasts' unit for first examination in 2009. This fieldwork investigates the threats to fragile sand dune ecosystems along the coastline to the southwest of Barcelona. It examines the impact of human activity, the variations in biodiversity between managed and unmanaged dunes, and the success of dune management schemes. The construction of the Gava coastal walkway aims to protect the dune ecosystem mainly by reducing extensive trampling. Landscape architecture must deal with the abiotic and biotic processes of the dune system and the Gava coastal walkway has been developed to achieve these goals. There are economic benefits and environmental costs to coastal development which influence the success of the development equation. 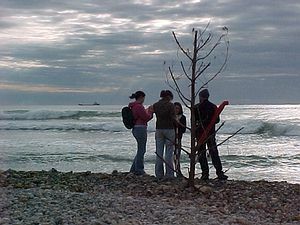 Platja Llarga at Vilanova, near Barcelona provides a local case study where the costs were perceived to outweigh the benefits and development pressures were blocked by local action. This fieldwork assesses the beneficial economic impacts of the Platja Llarga development against the environmental costs and examines the views of stakeholders and their conflicting needs. Field study methodology includes the use of conflict matrices, cost-benefit and values analysis and environmental impact assessments. Questionnaires may be used to gather the views of local residents and businesses. Els Muntanyans on the Costa Dorada provides a contrasting case study of development pressures where costs are perceived to outweigh the benefits. Development has recently been slowed by court action (February 2008). This fieldwork assesses the beneficial economic impacts of the Els Muntanyans development against the environmental costs and examines the views of stakeholders and their conflicting needs. Field study methodology includes the use of conflict matrices, cost-benefit and values analysis and environmental impact assessments. Questionnaires may be used to gather the views of local residents and businesses. Evidence for longshore movements and dominant wave directions can be gained through a study of pebble long axes and alignments on a nearby shingle beach. Hypotheses can then be applied to a study of the sand beaches that are under threat. The study includes an evaluation of the success of the current coastal management schemes and an assessment of alternative management strategies. This case study forms the focus of a Eurosion report on coastal erosion and management. 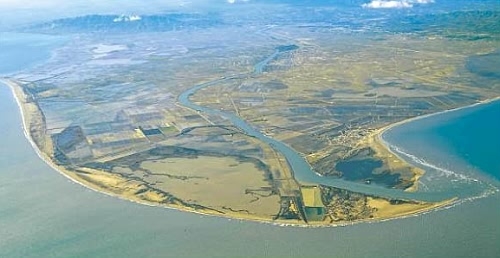 The integrated coastal zone management plan for the sustainable development of the Ebro delta is currently being prepared.